Slim, genuine style. 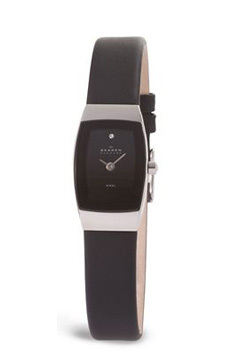 This slim women's watch features black leather straps connected to a shiny stainless steel case. 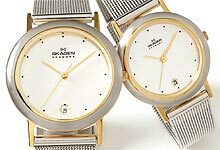 The shiny black dial has one crystal at the twelve Made with CRYSTALLIZED? -Swarovski Elements.